What is the TRIAD® Research Study? The TRIAD Research Study is currently evaluating an investigational medication that may reduce symptoms of agitation due to Alzheimer's disease. Agitation due to Alzheimer's disease can be extremely disruptive and potentially harmful to you and your loved one. Aggression, which can be both physical and verbal, plays a major role in agitation. Aggressive behaviors can make caring for your loved one intimidating and stressful. At this time, the FDA has not approved any medications to treat agitation in Alzheimer's disease. Your loved one's participation could help advance new treatment options in the future for this difficult condition. 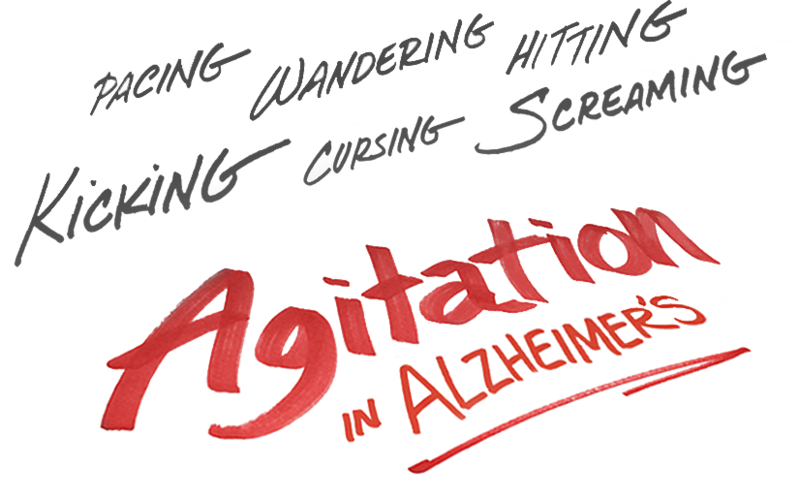 Agitation affects almost 4.3 million of the 5.4 million people with Alzheimer's disease. Qualified participants will be required to attend 8 clinic visits over approximately 16 weeks with their caregiver. In addition to evaluations, each study visit will also provide an opportunity for the participant and caregiver to meet with the study team, address any questions they may have, and share their experiences. Certain qualified paricipants may have an opportunity to receive the investigational medication for an additional year, as part of an extension study. Has your loved one been diagnosed with probable Alzheimer's disease? Is your loved one between 50 and 90 years of age? Does your loved one consistently experience any of the following behaviors? As the caregiver,* are you willing and able to take your loved one to 8 appointments over approximately 16 weeks? If you anticipate having a hard time getting your loved one to and from study appointments, you can talk with the study team (doctor and staff) at the study site. They may be able to assist with transportation issues. *Caregiver can be a friend, family member or nursing staff from an assisted living facility. Caregiver must spend a minimum of 2 hours per day for 4 days per week with the study patient. Alzheimer’s disease is a progressive disease that damages brain cells and impacts important mental functions such as memory, thinking, and behavior. As the brain cells deteriorate, memory and mental function steadily decline. People with Alzheimer’s disease may begin to exhibit behaviors that are not typical of their personality. 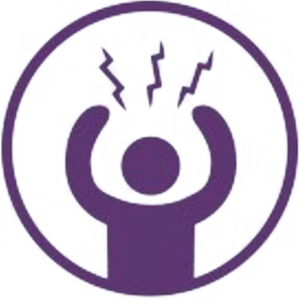 Common behaviors associated with agitation in Alzheimer’s disease are irritability, hostility, physical and verbal aggression, an uncooperative attitude, wandering, and pacing. Unpredictable outbursts can place additional strain on caregivers and diminish the quality of life for both caregivers and their loved ones. Currently, there are no medications approved by the United States Food and Drug Administration (FDA) to treat agitation in Alzheimer's disease. Caring for a loved one with agitation due to Alzheimer's disease can be a challenge. For more information about the condition and for additional caregiver resources please visit our Other Resources page. Can my loved one still participate if he or she lives in a nursing home? Yes. Patients who live at home, in an assisted living facility, or skilled nursing home are eligible for participation in the study. What if I have a hard time getting my loved one to and from the study appointments due to transportation issues? Talk with the study team (doctor and staff) at the study site. They may be able to help assist with transportation issues. Can my loved one still see his or her regular doctor(s) during the research study period? Yes. Your loved one can still continue regular visits with his or her doctor(s). You or the study team can notify your loved one's regular doctor of his or her participation in the research study. Will my loved one be able to stay on his or her current Alzheimer’s medications? Your loved one may be able to stay on his or her current medication. The study team will discuss your loved one’s current medication and potential participation in the study. What is unique about agitation associated with Alzheimer's disease? There are currently no FDA-approved medications to treat agitation in Alzheimer's disease. Curbing the agitation and disruptive behavior could be an important step in helping patients behave more like themselves. Therefore, caregivers may feel less distressed and be more able to provide adequate care. Research studies are medical or health-related studies in which participants help test the safety and effectiveness of an investigational medication. These studies follow a strict protocol (a written plan of action). An investigational medication is a drug not yet approved for marketing by the FDA or other global government offices. It is available only for use in research studies to determine its safety and effectiveness in humans. The participant's health history and current status will be checked at the beginning of the research study. If your loved one seems eligible to participate, you will receive instructions for what you will need to do as the caregiver. Each participant will be monitored carefully throughout the research study by the study team (doctor and staff). How will my loved one’s rights and medical safety as a study participant be protected during the research study? Research studies must follow strict ethical and legal standards. In addition, the US federal government and other global health authorities regulate clinical research with built-in safeguards to protect study participants. Can my loved one stop participating in the research study before the study is completed? Yes. Participants can withdraw from the study at any time. If you wish to withdraw your loved one from the study, you will be asked to notify the study team, give your reasons for the participant stopping the study, and follow through with the study exit process. What if I am interested in learning more about the investigational medication? The study team will give you additional information about the investigational medication on the consent form. They will also explain potential side effects, risks, and benefits from participating in this study. Avanir provides links to third party resources for your convenience. None of these organizations endorse or are otherwise affiliated with Avanir or its products, including TRIAD. Additionally, these links connect to websites not owned or controlled by Avanir. Avanir is not responsible for such websites in any way, including the accuracy of their content, their data collection practices, or their privacy policies. We encourage you to evaluate any information or advice provided by any of these websites with your doctor. We also encourage you refrain from sharing any personal or private information with any website unless you are confident that you understand and are comfortable with its data collection practices and privacy policies. This study is brought to you by Avanir Pharmaceuticals, Inc.